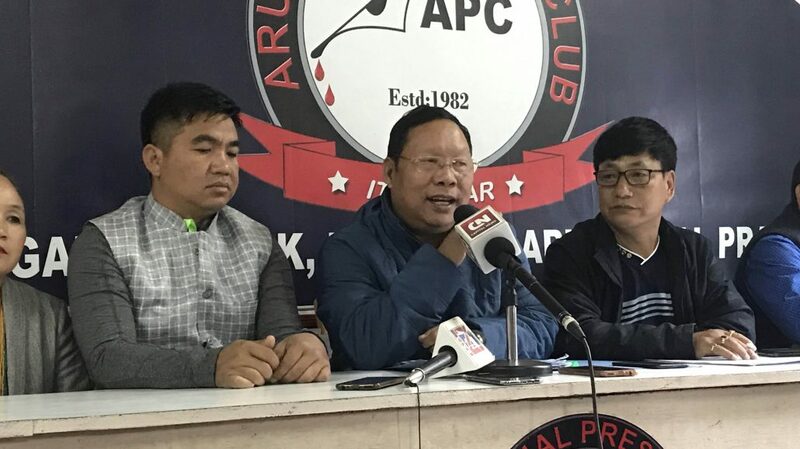 The Arunachal Pradesh Congress Committee (APCC) has threatened to launch a vigorous statewide agitation from February 1 if the state government fails to grant justice to all the victims of the infamous Trans-Arunachal Highway (TAH) compensation scam. “There is so much corruption in the state and one prominent example of that, which no one has been able to forget for long now is the TAH scam. More than 240 crores of public money sanctioned by the Central government has been misused by several elected leaders, government officers and some corrupt individuals,” said APCC president Takam Sanjoy on Saturday. Sanjoy cautioned that if justice is not granted to the victims within the given deadline, the party will be forced to launch a series of statewide protests. He said that the Congress party will calls bandhs, organize processions, protest rallies and road blockades if the eligible benefactors were not paid their due compensation or if the state government fails to come up with a concrete solution to the issue. Commending Taba Tedir, the chief engineer of state’s urban development department who recently announced to return Rs 3.25 crore which he received as compensation for his property located at Billo village under Lower Subansiri district, Sanjoy called upon all the others to follow suit. The opposition leader also pointed out that the compensation rip-off has halted the double-lane work at the Joram-Palin, Potin-Pai Gate and Pai Gate to Bopi stretch of roads in the Lower Subansiri and Kamle districts besides also putting the security of the state and its people at stake.